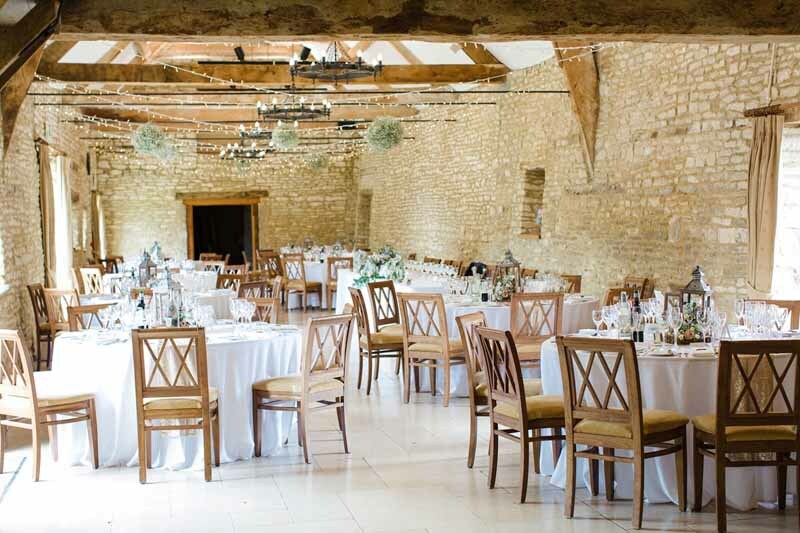 Today we have a real wedding to show you. 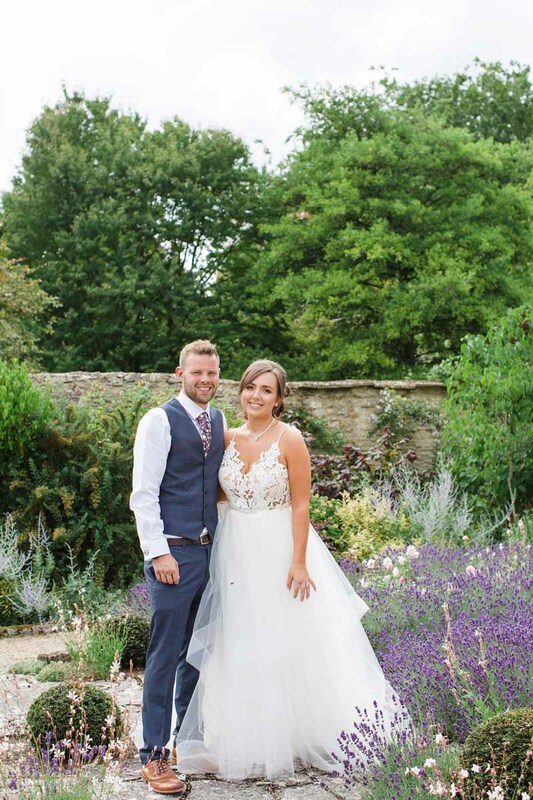 Natalie and Kevin were married at Caswell House and opted for a rustic glamour style for their decorations. They purchased a number of different bits and pieces from The Wedding of my Dreams, here we show you how they used them. 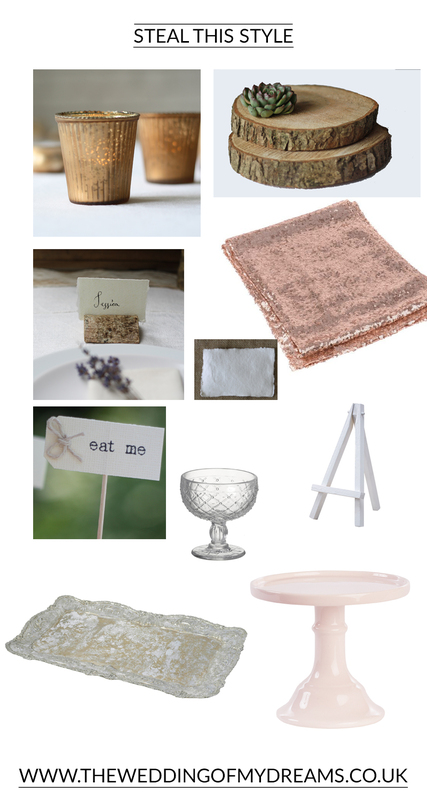 Items used: tree slice centrepieces, ribbed bronze tea light holders, ribbed gold tea light holders, rose gold sequin table runners, mini white easels to hold their table numbers. 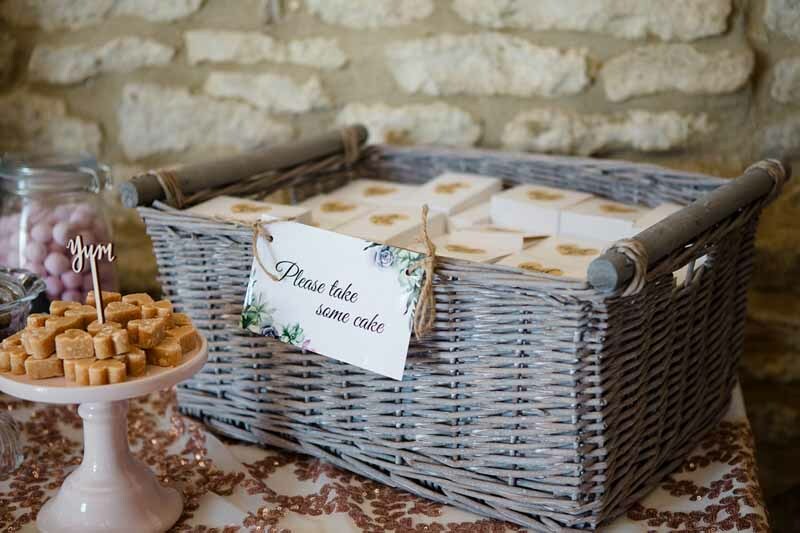 For the rustic glamour dessert table Natalie placed cupcakes on one of our antique gold trays with eat me flags on top, wooden tree slices instead of serving plates and glass footed bowls for fudge, as well as a few cake stands dotted around the place. Create this look at your own wedding. 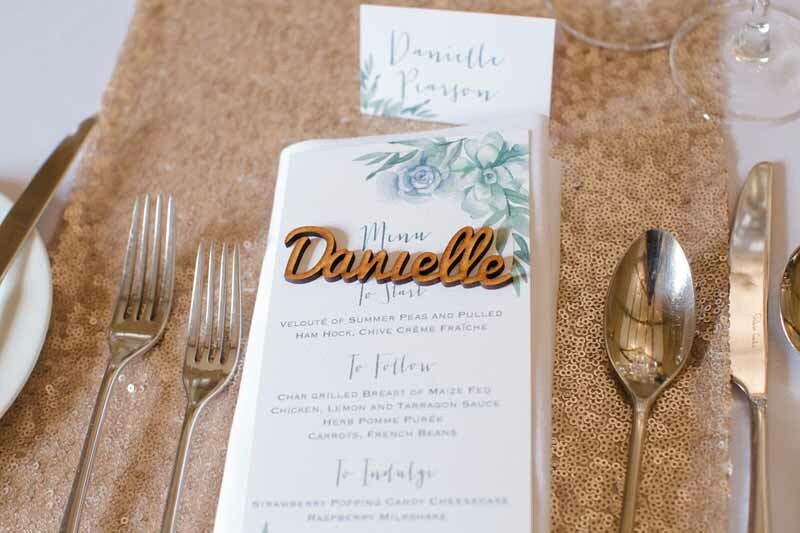 With table number cards on white easels for a relaxed look. 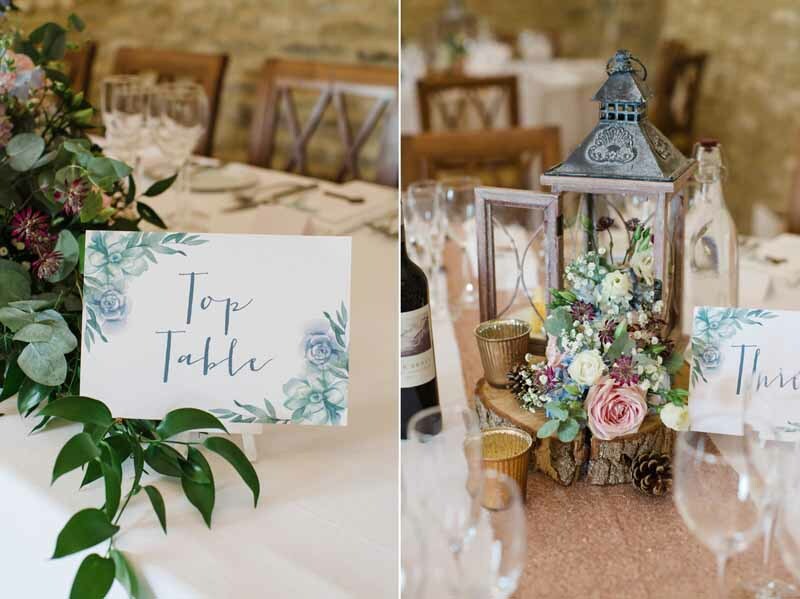 The tree slab centrepieces are so versatile, here Natalie has placed a lantern on the tree slab with flowers cascading out onto the table. Around the lantern are a couple of ribbed tea light holders, you could also add some candle sticks for a bit of height. To add some glamour to the table try placing a rose gold sequin table runner over the linen cloth provided by your wedding venue. Natalie has done a fantastic job creating a beautiful dessert table, doesn’t everything look so delicious? 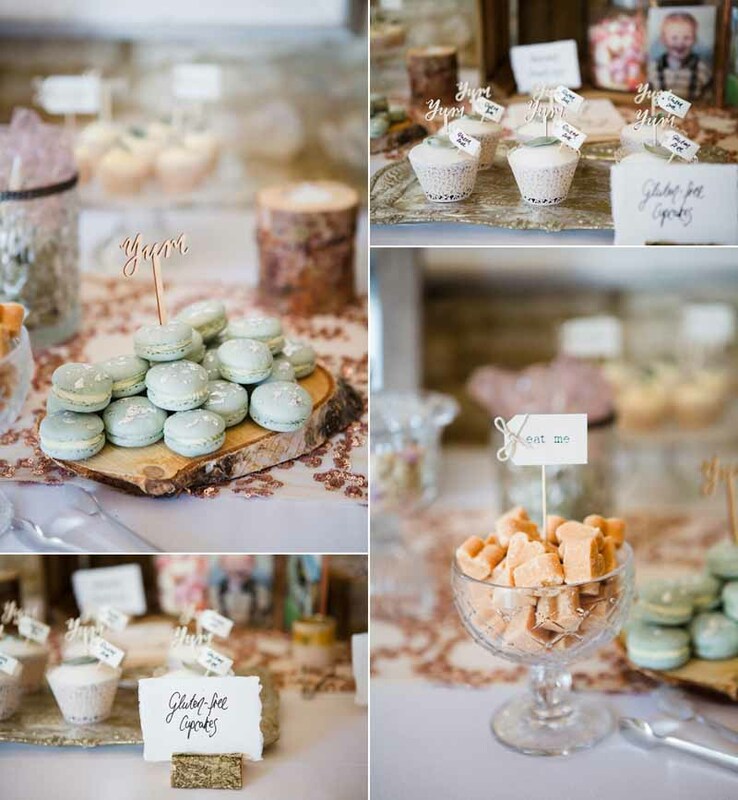 Macarons were placed on tree slices to tie in to the table centrepieces, for a bit of glamour Natalie placed cupcakes on our antique gold trays, the cupcakes are gluten free and Natalie labeled these with our bark card holders and handmade paper place cards with torn edges. Pieces of fudge work so well in our pressed glass dessert bowls with an eat me flag sticking out. This table plan isn’t from our shop but we just love it so had to share! 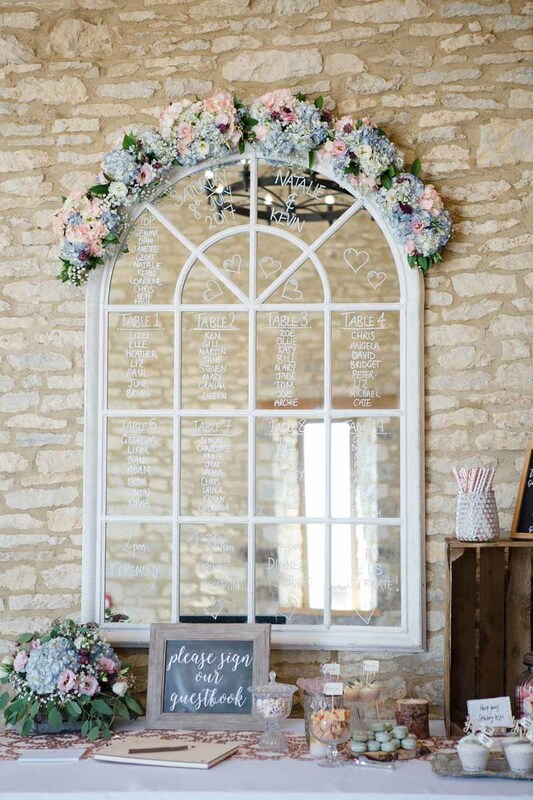 If you have a mirror that you love in your home, or you could buy a new one why not write on it for your table plan. If your handwriting isn’t great there are some great companies out there that do custom vinyl lettering which you could stick onto the mirror.